Volvo has unveiled a car that automatically breaks for cyclists. The software makes use of a radar scanner, camera and a catalogue of images stored on its on-board computer to assess potential dangers and if necessary slow the car down. 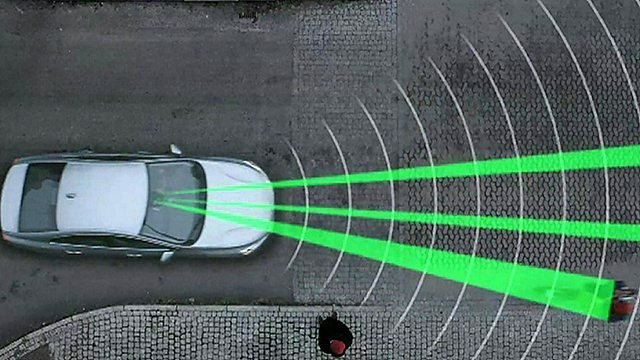 Volvo already offers a pedestrian anti-collision system and is now working on one that can detect animals. In other news, Microsoft has been fined 561m euros ($730m) by the European Commission for removing the option to choose web browsers in its Windows operating system. It showed its own Internet Explorer by default. The company said the removal of the browser choice screen had been due to a "technical error". And a new tablet for schoolchildren in the US has been shown by Rupert Murdoch's education group, Amplify. The $299 Android-powered device comes with a preloaded curriculum for an additional subscription, but some are concerned that the proprietary software used could tie schools into a single system.